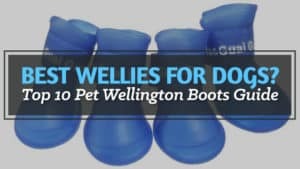 In the United Kingdom, ﻿the Wellington boot is our closest companion (next to our dogs). Through turbulent and fickle weather, they provide us with a level of warmth and comfort that not many other forms of footwear can offer. They’re diverse as well, so people with all calf sizes are able to find a pair that is just right for them – even those who have narrow ones. 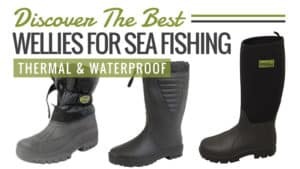 When looking for a pair of narrow calf wellies, you need something that not only fits well but can also provide a level of reliability and durability. 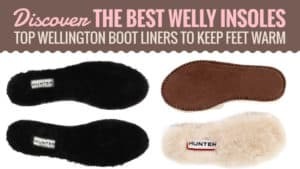 A Wellington boot that warms icy toes is often a bonus, especially during the winter. 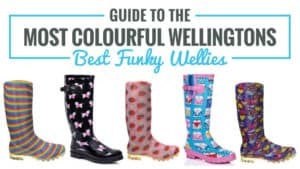 From the expensive and stylish to the cheap and practical, you’ll find a welly here for every occasion. When people hear the name Joules, they think of a brand that sells a wide range of equestrian clothing and gear. 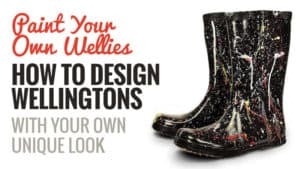 They wouldn’t be wrong, and their products are of superb quality, but they also manufacture a fantastic line of Wellington boots. 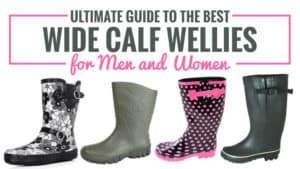 The Fieldwelly from Joules is priced at around £27.99, making it one of the cheapest narrow calf wellies on the market. 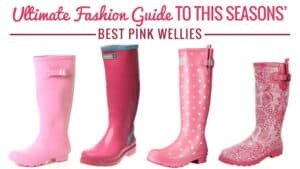 Warm and comfortable, you can expect the classic Joules feel and level of quality from these funky wellies. 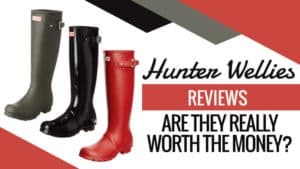 Take a look at the reviews for these narrow calf boots. 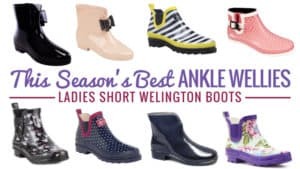 These stylish wellies for women are tall and have a slim fit for those with narrower calves. 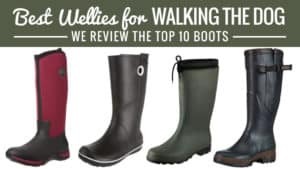 They are completely waterproof, making them perfect for rainy days at the yard or even walking the dogs. With a comfortable textile lining, they not only fit well, but they will keep your feet warm too. 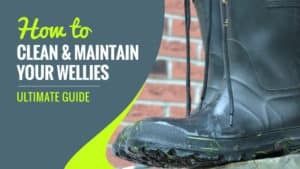 The sole is made from gum rubber for a good grip and equal tread – which is definitely needed when you’re mucking out or navigating the fields in the winter. They are easy to slide on and off again for minimum hassle, so there’s no struggle getting them around your legs and feet. 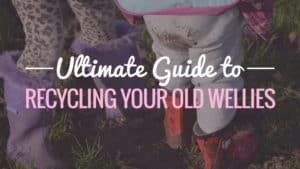 Unusually for Joules, there have been a few occasions where the boot has split or torn after only a few months of use. However, if you are one of the unlucky few, you are covered by a 12-month warranty. Plus, their customer service is superb. 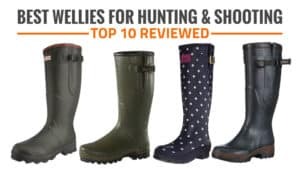 Joules wellies are some of the best on the market, especially if you are looking for narrow calf wellies at a cheap price. 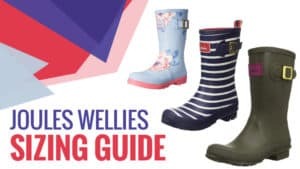 With a 12-month guarantee, you’re completely covered if you run into any trouble, and the way Joules wellies are made it is unlikely that you will end up as one of the unlucky ones. Best for: stable work, farm work, and general use. A: They have a soft fabric lining, but they are not fur lined and they are surprisingly lightweight and comfortable to wear for a long walk. Le Chameau is a French brand that has only grown in popularity since its launch. 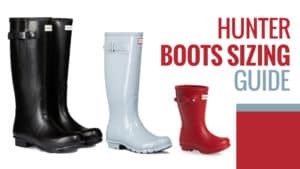 Offering stylish, practical, and long-lasting wellies, they offer everything you want in a neat and reasonable package. 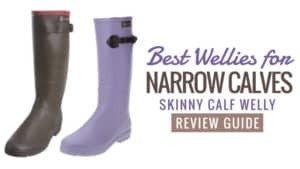 The Vierzonord wellies are perfect for those with narrow calves. 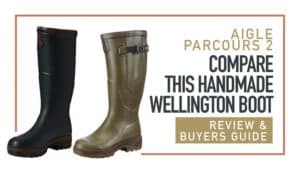 Priced at around £165, they are incredibly reasonable – especially considering the usual price of wellies form this reliable and trusted brand. 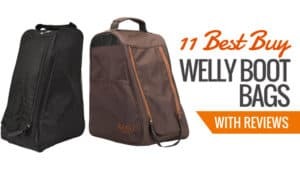 They are made to last you some time and are perfect for a range of activities and work, everything from walking the dog to working the farm. 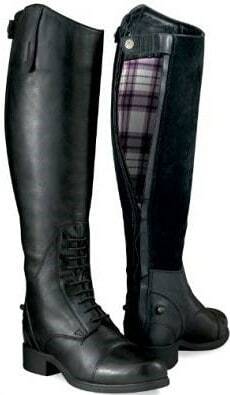 These wellies for ladies with narrow calves come with an adjustable gusset so you can match the boot to your calf. They have a close, comfortable fit and a neoprene lining for particularly cold days. However, they do not get so warm that you cannot wear them in the summer months as they are surprisingly breathable. 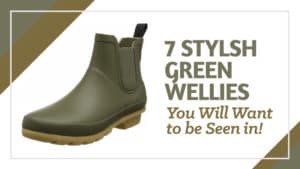 These wellies have an air grip sole for excellent shock absorption as well as a superb tread, making them ideal for work at the yard or even on the farm. The shank reinforcement allows for better arch support, as well as for your back – so your feet don’t end up sore and swollen after a long day. 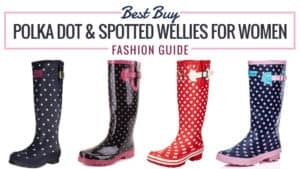 These funky wellies also come with a two year guarantee as well as lifetime repair assistance should anything go wrong. They are on the higher end of the price spectrum, and so not in everyone’s price range. Other than that, these wellies have no faults. 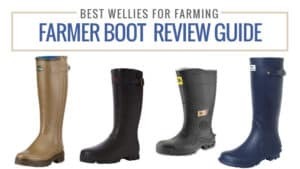 These wellies for narrow calves may be considered higher on the price spectrum than most, but they are worth every penny spent on them. With fantastic support for your body, you are less likely to feel sore after a hard day of work and the neoprene lining is sure to keep you feeling toasty. 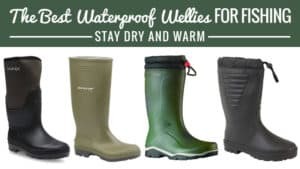 With a two year guarantee and the fantastic lifetime repair support, these wellies are the perfect ones for anyone who uses them daily and needs something that can handle it. 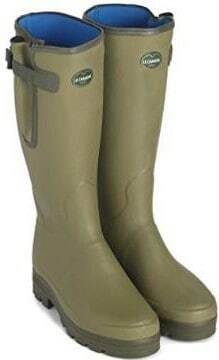 You can tell these fabulous wellies originate from France, due to their sleek and stylish appearance. A tall boot that was made for those who have narrower calves, it is excellent quality and generally quite durable. Priced at around £38, they are exceptionally reasonable in terms of cost. 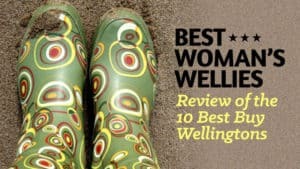 Take a look at the reviews for these funky wellies for women. 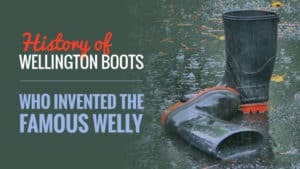 These rubber wellies were made to protect your feet from the rain and cold thanks to their waterproof exterior and the soft textile interior. The material inside the boot is not only warm but it also dries fast and is completely rot proof. With a slim and fitted shape, the boots will mould itself to your feet and legs. Aigle understand that the working woman needs something comfortable to get her through a day of far work. These narrow calf wellies were made with a thick sole that has fantastic grip and tread – perfect for those muddy, slippery days outside. Easy to slip on and off, they offer a hassle free fit so you can get on with your day. The fit can be a little large around the feet so it is advised you order a size or two down from what you are for the best results. 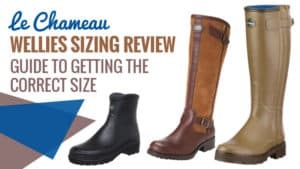 The Chantebelle boots from Aigle are comfortable with a slim fit for those with narrow calves. Perfect for work on the farm or yard, they will keep you going even through the longest and hardest working days. 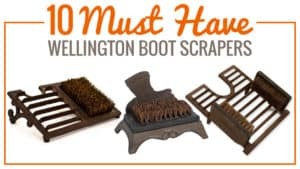 Best for: yard work, farm work, and general use. 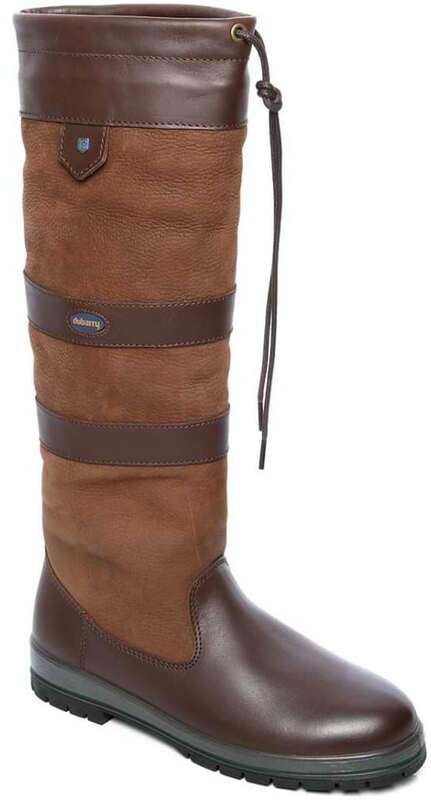 Dubarry are an Irish brand that took the world by storm when they were released. They may be expensive, but they are also incredibly durable and stylish – perfect for a number of occasions. Priced at around £299, the Dubarry Galway boots aren’t in everyone’s price range, but they are certainly worth saving up for. 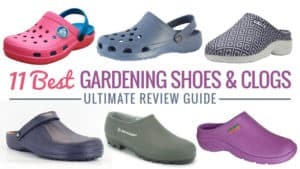 If you are looking for something reliable and exceedingly comfortable, you might want to consider these. 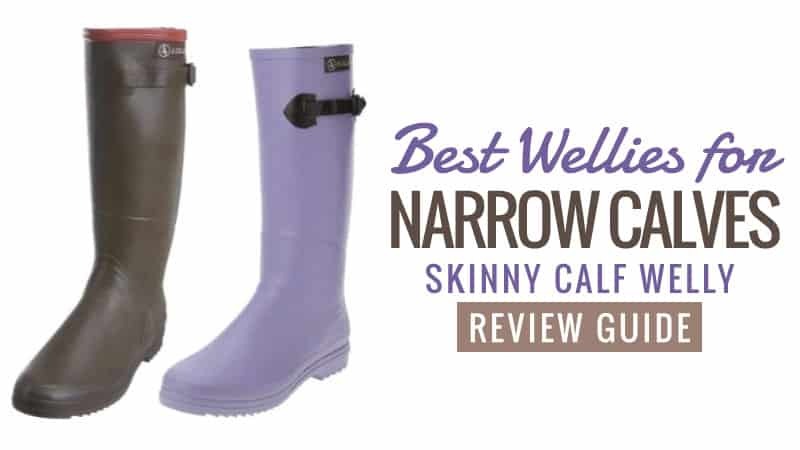 Take a look at the reviews for these narrow calf wellies. 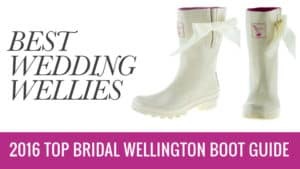 These wonderful wellies for ladies come in two slim sizes, catering to people who have varying types of narrow calf. The DryFast-DrySoft leather means that these boots are not only completely waterproof but also quick to dry after a trek in the rain. They are superb quality and highly unlikely to tear or split. 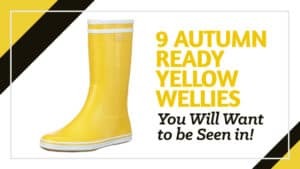 These men’s wellies are quite expensive and so not in everyone’s price range. The leather also needs regular upkeep, but Dubarry provides excellent and affordable kits to go with their boots. 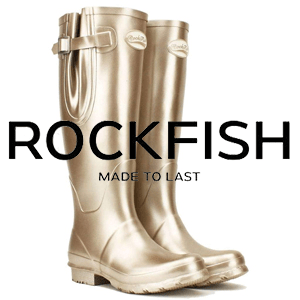 These leather narrow calf wellies are made to last your years and come in sizes for men and women. 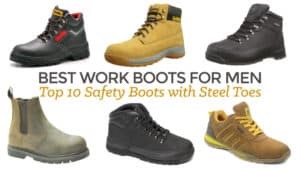 With these, you can go through anything without concern or fear of your boot becoming damaged. 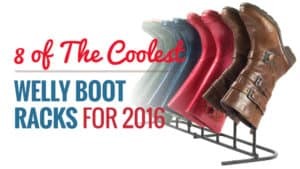 They were made to fit your leg and offer superb comfort as well as excellent quality. 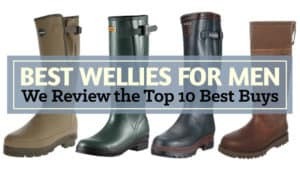 While they may be higher priced than most wellies, they are certainly worth saving for and some of the best value for money wellies out there. Q: What is the sizing like for these boots? 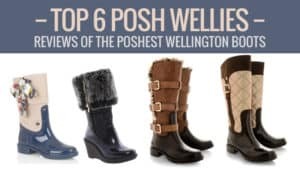 A: The boots are pretty wide fit around the calf but have been found to come big in size so if you need a size 4 make sure you go down to a size 3. Ariat are a popular equestrian brand that have benefited from global success in their clothing and equipment lines. 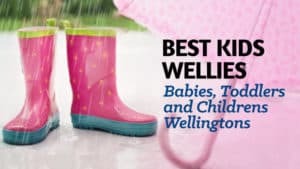 The same can be said for their riding boots and wellies. 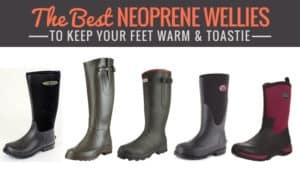 Bromonts are one of the superb models that can be found in their Wellington boot range. They are perfect for those with narrow calves. Priced at around £80, they are reasonable considering the prestigious brand they come from. One of the cheaper boots on the market, they also double up as riding boots for extra practicality. 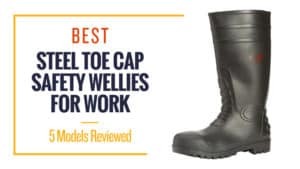 These waterproof wellies for ladies with narrow calves are ideal for those who spend a lot of time at the yard and need to transition quickly between work and riding horses. 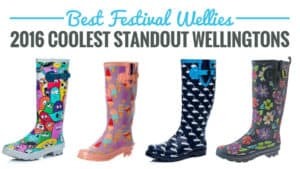 They can even be used for competing, showing how practical and multifaceted these smart wellies are. Made from leather, they are completely waterproof with a soft textile lining for added warmth and comfort. The black zipper is there to secure your foot in the boot, providing an elegant look for riding while also helping you to feel good while you’re hard at work. There have been a few occasions where the boot has split or torn after only a few months of use. 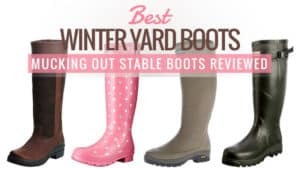 If you are looking for a generally durable boot for use at the yard as well as eventing and general riding, then this is the perfect one for you. With its multipurpose features, it is diverse as well as comfortable. 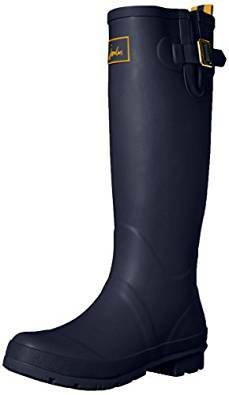 With a warm lining and a fitted design, it is the ideal welly for those with narrow calves so that you can ride your horse in comfort and style. 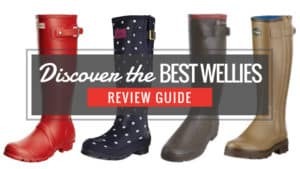 When it comes to finding wellies that are made for those with narrow calves, it can be a lot harder than searching for the wider ones. 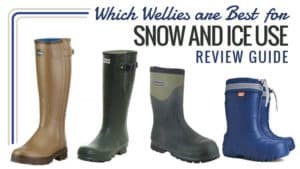 Thankfully, there is quite an even price range in terms of narrow wellies, although the more expensive ones seem to provide the best quality. 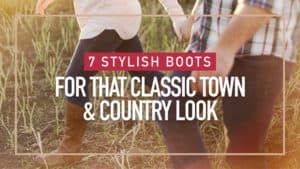 Brands like Dubarry and Le Chameau are certainly two of the most popular, trusted, and reliable out there, and the boots they produce certainly reflect this. It’s definitely worth putting some money aside for some quality boots like these. 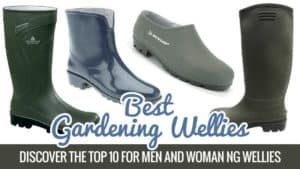 Especially as you know they will last you a long time.However, the cheaper options for narrow wellies are still rather durable. While a couple of them have had uncommon reports of leaks and tears, this is a small majority of the total customer number. You aren’t always skimping on quality when you go for a lower price, especially from trusted brands like these.